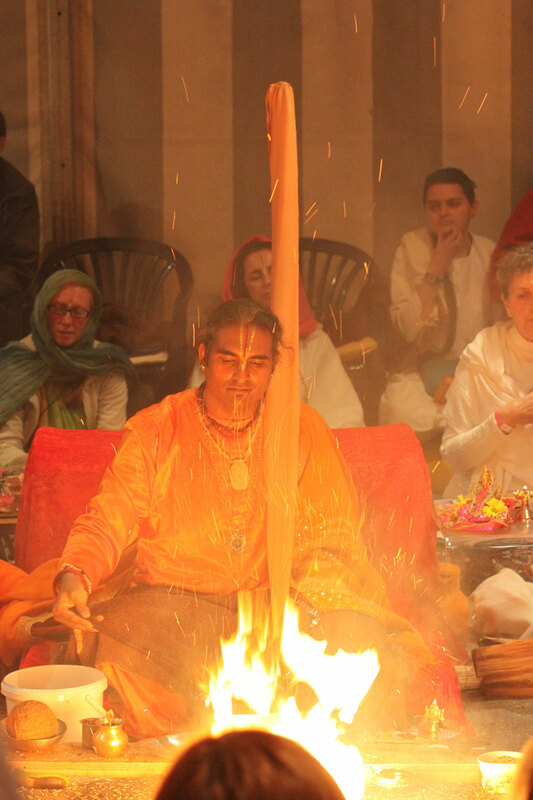 Two days ago, on the 1st of May, our first Maha Lakshmi Yagna began at Shree Peetha Nilaya. 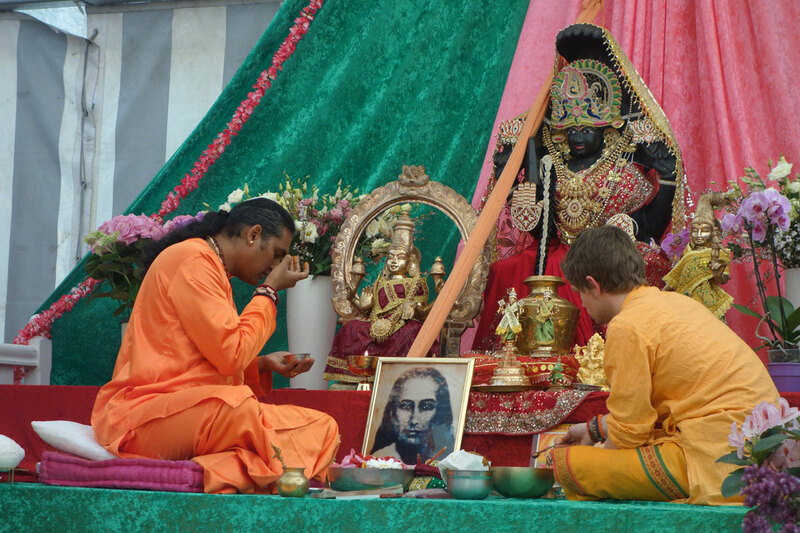 The second big puja performed by Swamiji was for Lord Vishwakshena, the general of Lord Vishnu's army and the Sri Vaishnava equivalent of Lord Ganesh. A Kalash Puja followed to invoke Maha Lakshmi to be present during our prayers. 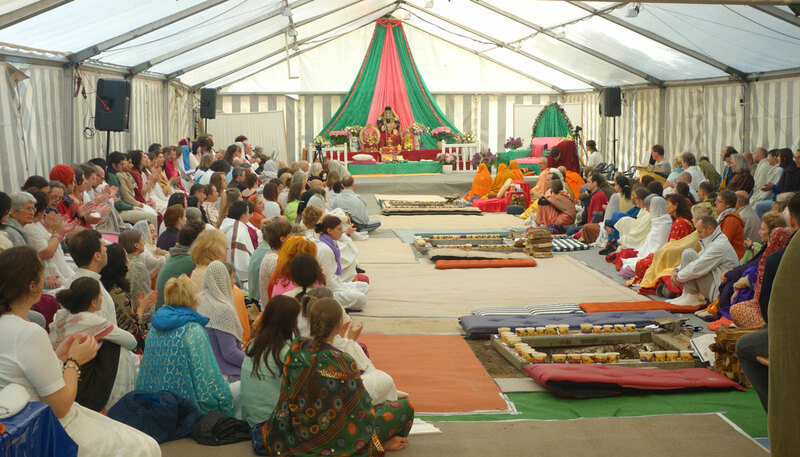 Then, finally at about 1pm the Yagna started. There where three big kundhs built up and so all the guests in the tent were very comfortable and each person was able to participate throughout the ceremonies. We finished those rounds at approximately 8pm but truly nobody felt any fatigue or hunger or any other such thing! 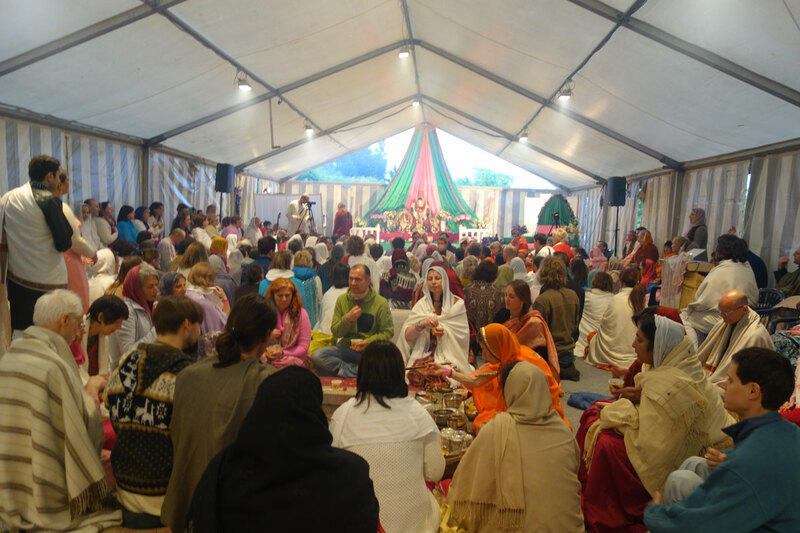 The energy and atmosphere in the tent was magnificent and extremely loving, ensuring that everyone was ready for more prayers that were to follow. After this Guruji invited everybody to come to his kundh, round by round, to chant the 1008 names of Maha Lakshmi. 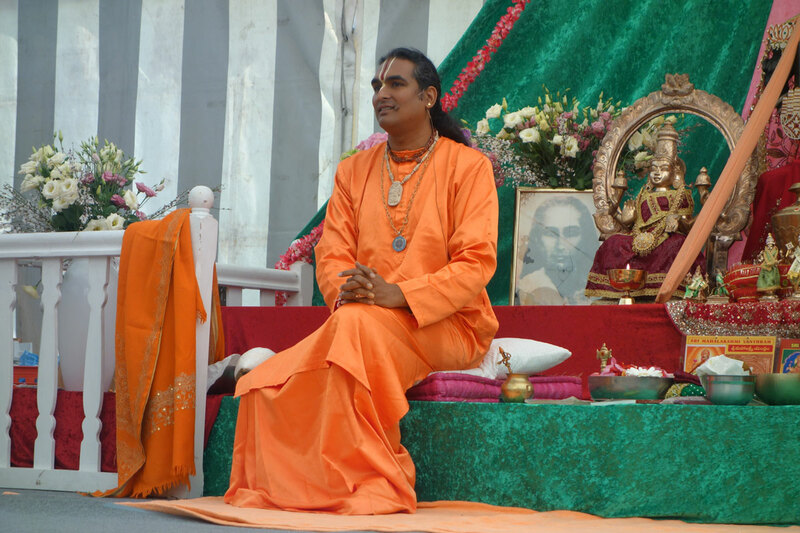 The whole prayer was completed with Aarti which lasted another hour, meaning the festivities went on til 11 pm! It was an intense day of prayer and devotion to the Divine Mother, the sweetest of the sweet who presides over all of us at Shree Peetha Nilaya throughout the year. We were all looking forward to more of the same the next day and we sure got it! Look out for a report on the second day's activities to follow in the coming days!